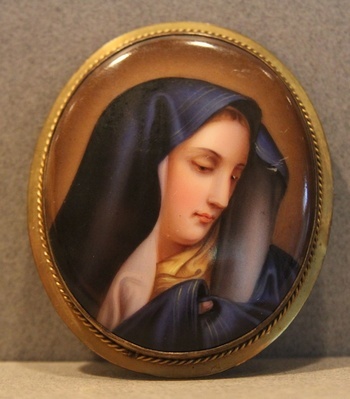 19th c. Hand Painted Brooch of Mother Mary. Well executed and has nice presence. Mounted in a oval gilded frame that measures 2 3/4 inches tall. 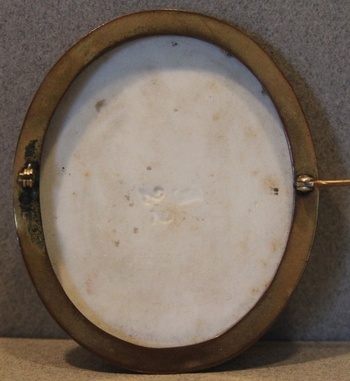 Incised mark on the back "E 22".